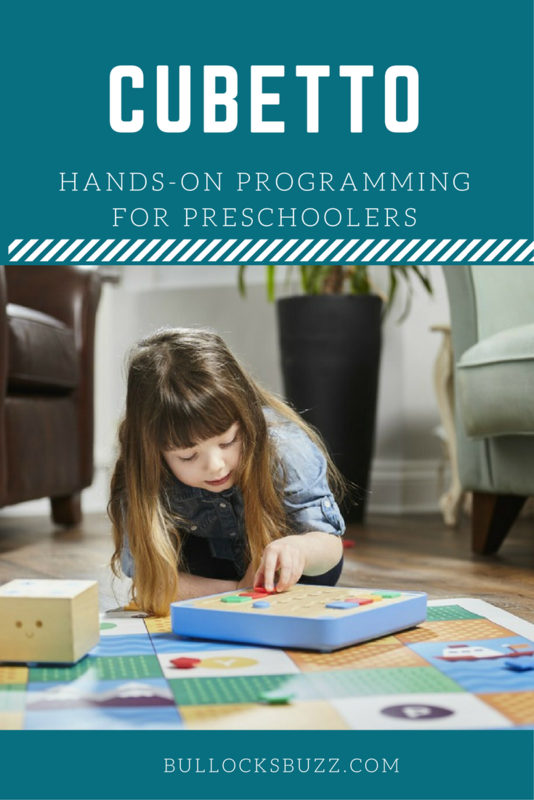 As a mother and former early childhood educator, I know that young children learn best through a combination of play and age appropriate hands-on activities and toys. I also know the importance of teaching STEM beginning at an early age. Unfortunately, a lot of children don’t enjoy subjects such as math and technology, but if you make the activity fun, children will be more engaged and will enjoy what they are learning. 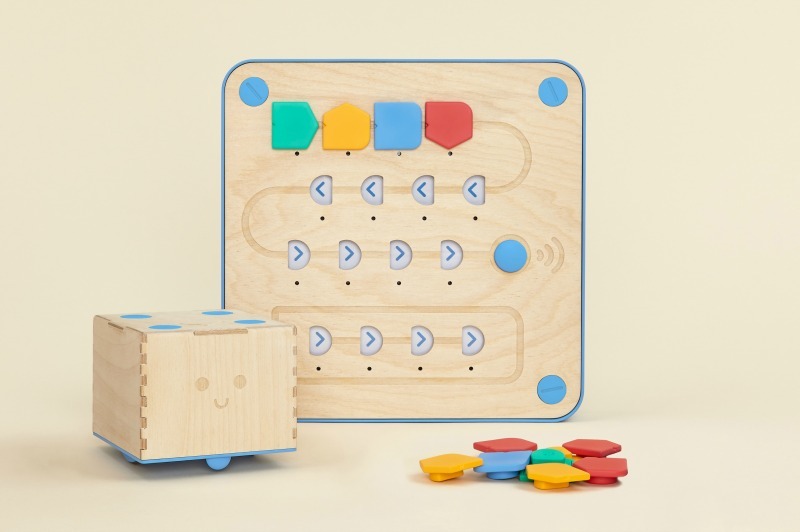 Cubetto, one of the newest STEM toys focused on basic programming skills, has been designed to do exactly that. 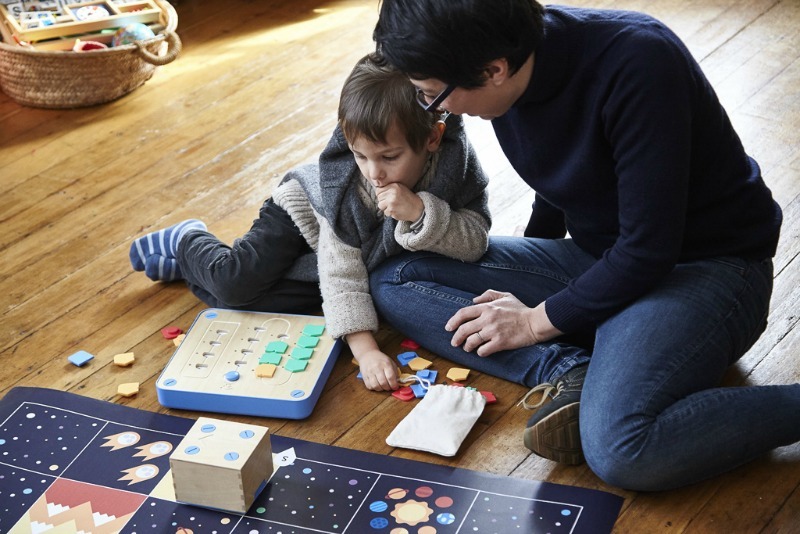 Created by Primo Toys, Cubetto, is an award-winning, Montessori-approved coding toy that teaches young children the basics of computer programming. As the first and only screen-less programming system, Cubetto is powered by a revolutionary coding language made up of colorful blocks that enable children to ‘write’ their first computer programs. 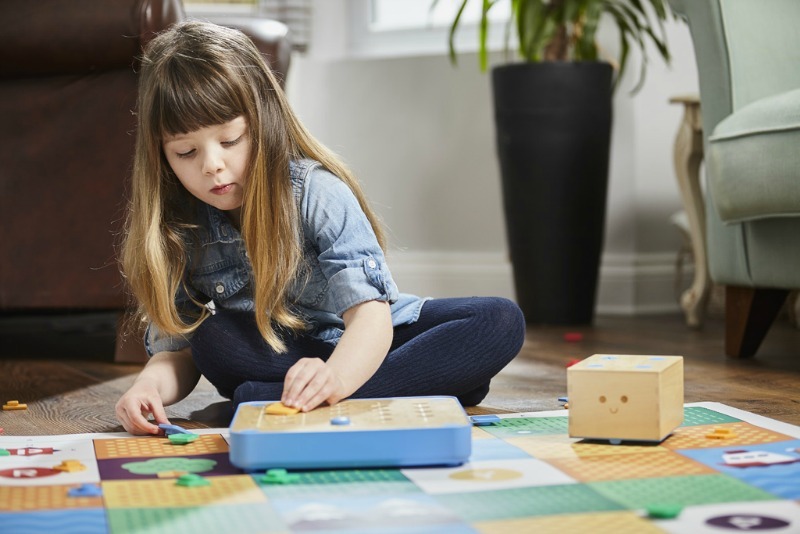 Cubetto comes with everything you need to get started including a friendly wooden robot, a physical programming console (board), a set of 16 colorful, expandable coding blocks, a collection of beautifully illustrated play maps, and an activity book.  There is no screen and children don’t have to be able to read in order to begin learning and understanding the basic coding principles. Using the “coding blocks” and the board children “program” can Cubetto to move in certain ways. Each colorful block is linked to a different command that tells the robot whether to move forward, left or right. Using the stories and challenges in the activity book, children plan where on the play map they need Cubetto to go, and which way he needs to move in order to get there. They then place the corresponding colored blocks into the board, “programming” Cubetto to move the directions they tell him to go. The robot will then follow that exact sequence allowing children to see the physical results of their actions immediately. Planning and executing these mini adventures helps children learn a lot more than coding. They learn to tell stories, to communicate, and to think critically and independently. 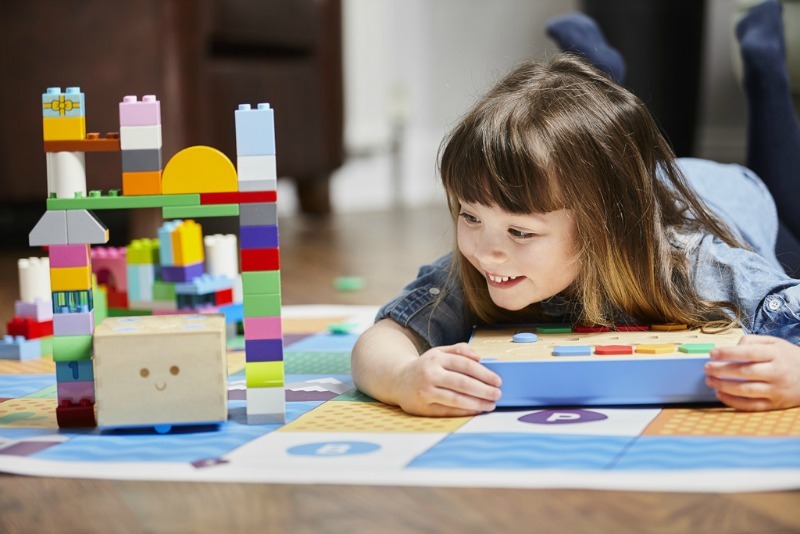 And as they get more familiar with how Cubetto works, children can create their own adventures to send him on, moving through obstacle courses or even around the house. 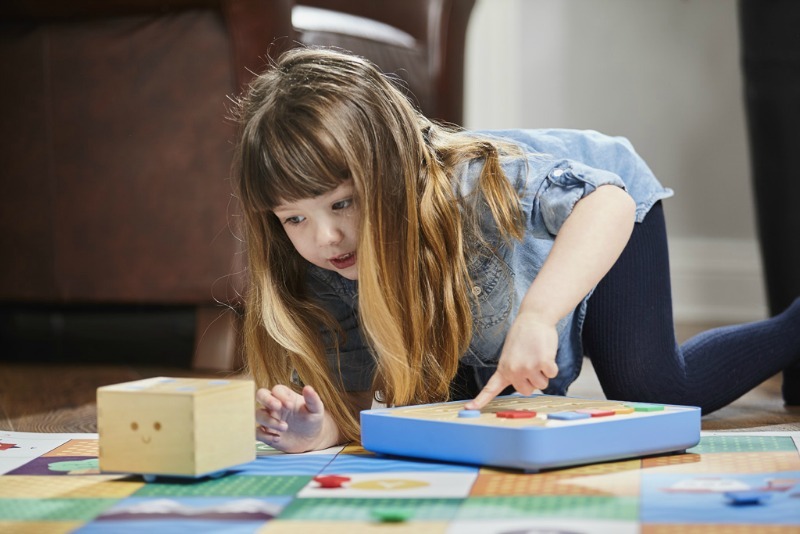 Cubetto is also the only coding toy that can be used by both sighted and non-sighted children in the same setting. This creates an equal learning environment that also promotes inclusive play. And, by using movement, touch and sound, it also helps children with disabilities strengthen their sequencing and communication skills. 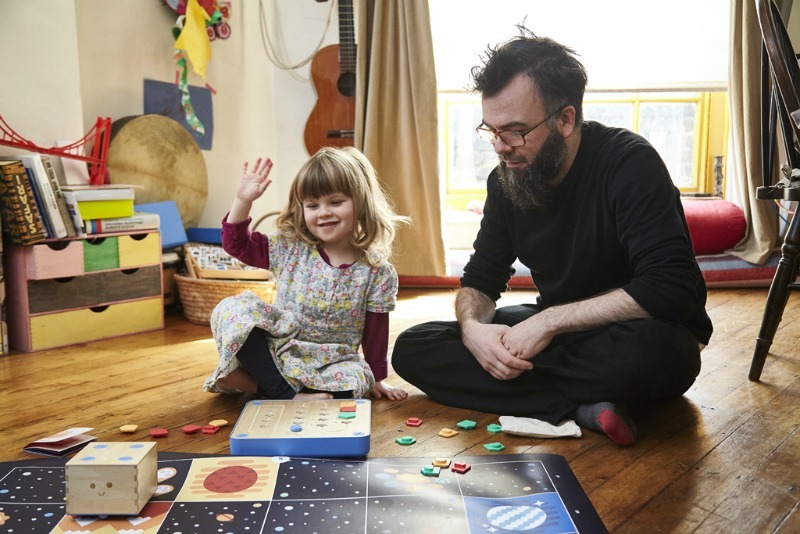 Cubetto not only teaches basic coding principles, it also encourages creativity, critical thinking, spatial awareness, and communication skills, all while allowing children to learn at their own pace. Plus since it uses movement, sound and touch, children of all learning styles will have fun while they learn. Ideal for girls and boys aged 3 years and up, the Cubetto Playset is available for purchase on www.primotoys.com. The set sells for $225, or $245 when bundled with the Activity Pack, which offers four additional world maps and matching story books. (Activity Pack is priced at $65 if sold separately). Does your child learn best through hands-on activities and play?